Elizabeth Hansen features five of JapanQuest Journeys Luxury Signature Journeys on her blog Authentic Luxury Journeys. A guide to real experiences from a veteran travel writer. JapanQuest Journeys, the premier destination management company for Japan, is pleased to announce the addition of seven new exciting and distinguished Partners to our exclusive list of ‘organizations that embody our ideals by adhering to the highest standards of excellence’. 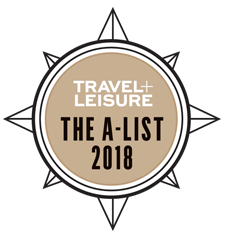 We are delighted to be associated with companies and institutions that have an undeniably top global reputation; complementing JapanQuest Journeys’ bespoke “tailor-made” luxury journeys and unique access to the very best Japan has to offer. Our new Partners span the accommodation and municipal sectors that reflect the finest of Japan. JapanQuest Journeys, the premier destination management company for Japan, is pleased to announce the addition of three new exciting and distinguished Partners to our exclusive list of ‘organizations that embody our ideals by adhering to the highest standards of excellence’. We are delighted to be associated with companies and institutions that have an undeniably top global reputation; complementing JapanQuest Journeys’ bespoke “tailor-made” luxury journeys and unique access to the very best Japan has to offer. Our new Partners span the accommodation and municipal sectors that reflect the finest of Japan. JapanQuest Journeys works directly with high-end individuals and serves top travel consultants and institutions worldwide. Our in-country presence ensures immediate access to local resources to service client needs. Four Seasons Hotel Tokyo at Marunouchi (The Four Seasons) is prominently placed in the Marunouchi central business district, the commercial heart not merely of Tokyo, but of all of Japan. The Four Seasons offers a striking, contemporary setting within the landmark glass-clad tower of the prestigious Pacific Century Place, a prestigious office and retail development neighboring Ginza shopping district and directly connected to Tokyo Station. A small jewel in Tokyo with 57 rooms, The Four Seasons offers a boutique luxury hotel experience that focuses on providing the best-personalized service. The City of Kyoto is the most traditional city in one of the world’s most advanced countries. It was the centre of Japan’s culture and the imperial capital of Japan for more than 1,000 years. Kyoto boasts over 2,000 shrines and temples and numerous seasonal festivals and celebrations. It remains home to roughly 20% of Japan’s National Treasures and approximately 14% of its Important Cultural Properties; 17 of which have been registered as World Heritage Sites. Much of Kyoto’s traditional culture, which flourished during the Heian period, has been passed on and preserved, creating a repository of cultural excellence that cannot be experienced elsewhere. Tokyo Convention & Visitors Bureau attracts tourists and conventions to Tokyo, one of the most exciting and modern cities in the world. With over 400 years of history as the capital of Japan, Tokyo has a rich cultural heritage originating in the Edo period. The juxtaposition of the historical with the modern in terms of architecture, customs and trends make Tokyo unique and very different from any other city in the world. Modern architectural masterpieces exist side by side with historic temples, beautiful gardens, shrines and shops that have been in business for generations where kimono clad customers mingle with clientele wearing the latest in designer fashions. The beauty of Tokyo lies in its individual neighborhoods and in many ways Tokyo is the largest, most exciting village in the world. One can undoubtedly appreciate the fusion of traditional, modern and natural elements of the city. To contact JapanQuest Journeys, please visit its web site at https://www.japanquestjourneys.com, call us at 202-455-0095 (Washington, DC) or email us at info@japanquestjourneys.com. JapanQuest Journeys is a boutique firm specializing in bespoke “tailor-made” luxury journeys to Japan with an unparalleled and undiluted single-country focus. With offices in the US and Japan, we deliver a wealth of unique Japanese expertise based upon decades of first-hand experiences and an intimate understanding of the cultural, historic and modern landscape. We will share extraordinary experiences and insider access — making available the “real”Japan through an extensive network of locally cultivated relationships. JapanQuest Journeys, the premier destination management company for Japan, welcomes luxury travelers back as Japan’s doors open once again. Most of Japan’s major tourist areas, transportation systems and food supplies were unaffected by the earthquake and tsunami and are safe and fully available for travel and enjoyment. Co-Founders Scott Gilman and Philip Rosenfeld are pleased to announce that JapanQuest Journeys will resume offering the very best of Japan, a truly extraordinary country, to its clientele. JapanQuest Journeys is known for its bespoke “tailor-made” luxury journeys exclusively to Japan and its unique access to the very best Japan has to offer. JapanQuest Journeys works directly with high-end individuals and serves top travel consultants and institutions worldwide. Our in-country presence ensures immediate access to local resources to service client needs. According to Rosenfeld based in Tokyo, “A sense of normalcy has returned to most of Japan. In the days and weeks following the earthquake and tsunami that struck the Tohoku region of northern Japan on March 11th, a feeling of self-restraint prevailed as a nation came together to lend its support to those individuals affected by the disaster. This support will of course continue in the months and years ahead. However, there is a sense throughout Japan that it is time to move forward, for people to return to their daily routines as a spiritually strong and economically reinvigorated nation is what is needed most to rebuild the lives of those individuals in the affected areas. The U.S Department of State has downgraded its travel alert stating that health and safety risks are low and do not pose significant risks outside a defined 50 mile/80 kilometer radius around the Fukushima Daiichi Power Plant which lies approximately 185 miles/300 kilometers north of Tokyo. Other governments have also updated their travel advisories to more accurately reflect the status of the country in terms of safety and security. The Japan National Tourism Organization has also resumed promoting tourism to Japan. JapanQuest Journeys, the premier destination management company for Japan, is pleased to announce the addition of eight new exciting and distinguished Partners to our exclusive list of ‘organizations that embody our ideals by adhering to the highest standards of excellence’. 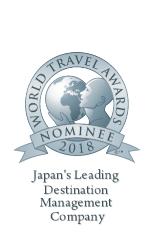 We are delighted to be associated with companies and institutions that have an undeniably top global reputation; complementing JapanQuest Journeys’ bespoke “tailor-made” luxury journeys and unique access to the very best Japan has to offer. Our new Partners span the arts, luxury transportation and accommodation sectors that reflect the finest of Japan. ANA (All Nippon Airways Co., Ltd.) is a leading Japanese provider of air transportation services, the tenth largest airline in the world by passenger load, the largest domestic carrier in Japan and a member of the Star Alliance. ANA offers a variety of premium member services and benefits targeted to high-end travelers. Benesse House is the central feature of Benesse Art Site Naoshima and combines multiple functions – museum, hotel, restaurant and spa. Benesse House comprises four buildings all designed by Tadao Ando and was conceived as a coexistence of nature, art, and architecture. The property is located on the southern end of Naoshima Island and has a panoramic view of the Inland Sea. Mandarin Oriental, Tokyo is located in Nihonbashi, the literal center of the city, and is a tower of contemporary luxury. The Mandarin Oriental, Tokyo offers 178 splendidly appointed guest rooms, spectacular restaurants and bars and an extravagantly sumptuous spa. The hotel is frequently acknowledged as the top luxury hotel in Japan including being rated the World’s Best Hotel by Institutional Investor magazine in 2010. Miho Museum designed by I.M.Pei, contains an extraordinary collection of ancient Near Eastern art and sculpture and Japanese art including ceramics, Buddhist art, lacquer ware, calligraphy and paintings. Nestled among the verdant Shigaraki Mountains approximately one hour outside of Kyoto, 80% of the museum’s structure is beneath the earth so as to preserve its natural environment and to assimilate it into the surrounding scenery. Kodo Cultural Foundation has a mission to not only preserve Sado Island’s cultural and environmental treasures, but to also develop unique ways for visitors to experience them directly. Kodo, based on Sado Island, is the world’s premier Japanese drumming and traditional performing arts group, delivering over 3,300 performances on five continents. Kyo-Shin-An Arts is an American organization dedicated to the integration of Japanese classical instruments – specifically shakuhachi, koto and shamisen – into Western classical music. It is commissioning, developing and producing new works and concerts, working with great composers to bring forth the outstanding virtuosity of these instruments within the context of chamber ensembles and orchestras on an international scale. TAI Gallery located in Santa Fe New Mexico, is one of the world’s finest galleries featuring Japanese bamboo art, contemporary photography and museum-quality textiles from Indonesia, India, Japan and Africa. Since 1978, gallery founders Mary Hunt Kahlenberg and Robert T. Coffland have hosted this selective gallery, combining her renowned knowledge in the field of textiles with his contemporary art sensibility to offer visually dazzling textiles and Japanese bamboo baskets and sculptures. IATAN (international Airlines Travel Agent Network) is the American arm of IATA, the global community of officially accredited travel professionals and travel business entities. IATAN endorses bona fide travel sales professionals and travel business entities that are engaged in the sale or brokerage of travel-related services to the general public. 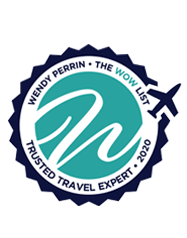 Its mission is to promote professionalism, administer meaningful and impartial business standards, and to provide cost effective products, services and educational programs that benefit the travel industry. Asia Jet can now provide bespoke tailor-made luxury experiences within Japan to coincide with the latest regulatory announcement by the Ministry of Transportation of Japan opening up the luxury tourism market for private jet users for the first time. Please download Asia Jet’s Press Release announcing its new collaboration with JapanQuest Journeys.